Snappers is located at Mile Marker 94.5, Oceanside, in beautiful Key Largo, Florida. Daily Keys favorites such as Yellowtail Snapper, Stone Crab Claws (when in season), and Florida Lobster Tails are always available. Snappers is home to the best BRUNCH in town featuring LIVE JAZZ by Frank Carmelitano, BUILD YOUR OWN BLOODY MARY BAR and BUBBLY BAR. Brunch at Snappers is always busy, it's a favorite of locals and tourists alike and spots on the deck are limited. Please call for a reservation at 305-852-5956. 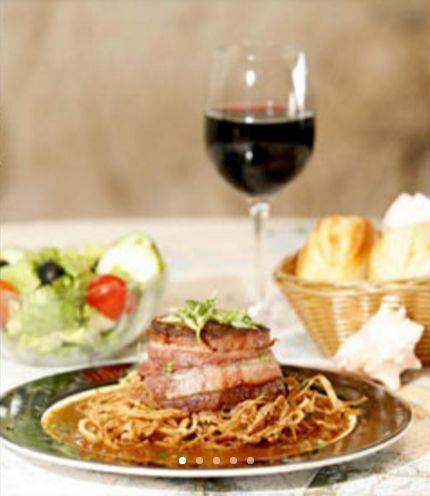 Snappers features one of Key Largo's best Oceanfront dining experiences. Our seafood is so fresh we print menu inserts each day because we don't know what's coming to the dock. And all our fish is filleted on the premises. Our sauces are made from scratch daily as are our chowders. 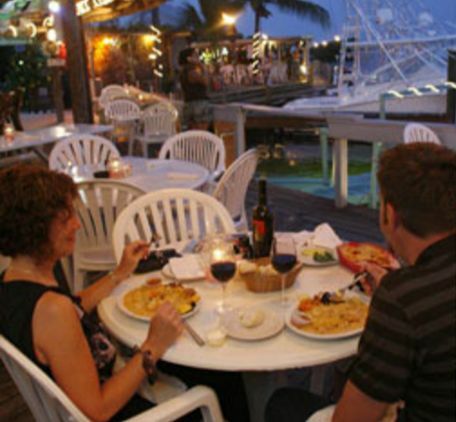 Snappers Oceanfront Restaurant & Bar, home of the famous Turtle Club (a locals' favorite) with live entertainment. Bring your appetite and your leashed pet to the Turtle Club (only) where all are welcome!